Business and government leaders gathered in Lagos, Nigeria, to pledge their commitment to improve the country’s nutrition, health, and economic development through food fortification. 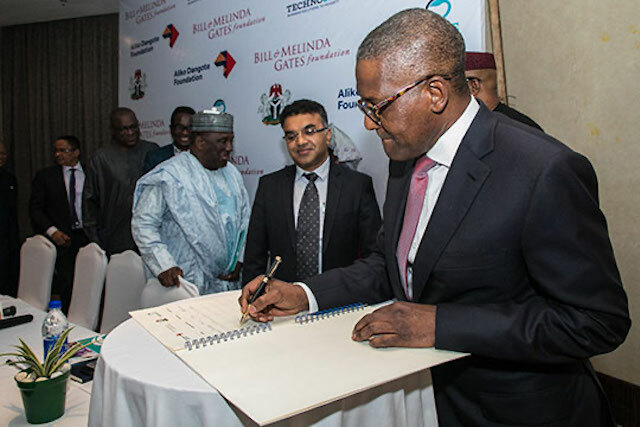 Aliko Dangote, president and chief executive of Dangote Industries, signs a commitment to support food fortification efforts at the Nigerian Food Processing and Nutrition Leadership Forum. Last week, Nigeria’s leading food processors took an important step toward curbing malnutrition. Gathering at the Nigerian Food Processing and Nutrition Leadership Forum in Lagos, CEOs from companies representing 70 percent of the market share of fortified staple foods in Nigeria joined government representatives and development partners to sign commitments toward achieving critical food fortification goals by 2020. 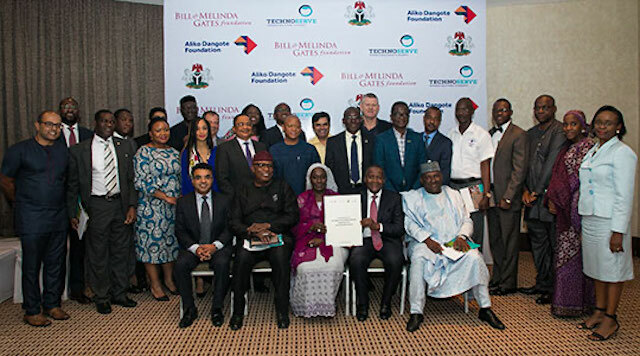 The event was organized by TechnoServe, the Bill & Melinda Gates Foundation, and the Aliko Dangote Foundation, as part of the Strengthening African Processors of Fortified Foods (SAPPF) project. 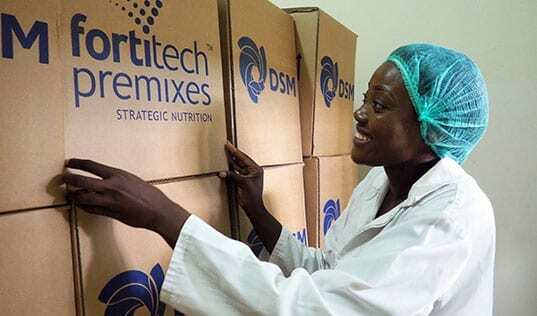 Funded by the Gates Foundation and implemented by TechnoServe and Partners in Food Solutions (PFS), SAPFF is working with food processing companies in Nigeria, Kenya, and Tanzania to strengthen their ability to produce and sell fortified foods for local markets. Fortifying oil, flour, salt, and sugar with micronutrients – including iron, folate, iodine, zinc, and Vitamin A – has been proven to be one of the most scalable, sustainable, and cost-effective tools to combat malnutrition. Known as “hidden hunger,” malnutrition is a serious problem in Nigeria, particularly affecting women’s and children’s health and development. A recent government survey indicates that the crisis is worsening, with one in three children suffering from chronic malnutrition. CEOs of Nigeria's leading food processing companies gathered with government officials and development partners in Lagos on July 26 to pledge their support to combat malnutrition. In addition to providing technical assistance to processors, SAPFF is also strengthening the enabling environment and supporting the government and regulatory agencies to improve the competitiveness of the industry. Government representatives attending the event added their signatures to the communiqué, committing to specific measures to facilitate private sector-led food fortification, incentivize compliance with fortification standards, and establish a regulatory framework. 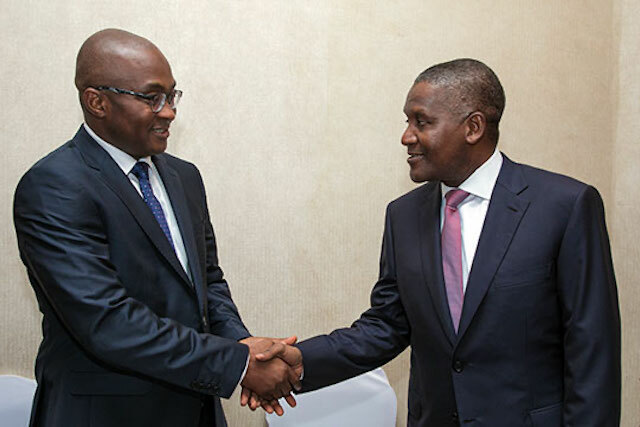 Larry Umunna (left), TechnoServe country director for Nigeria, shakes hands with Aliko Dangote at the forum. 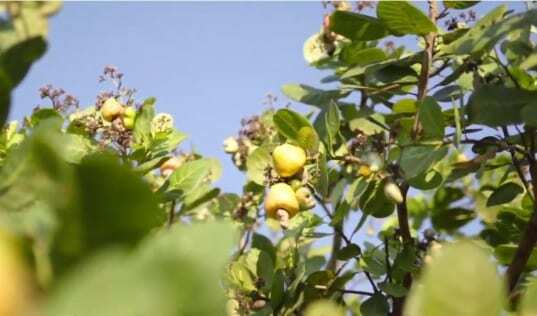 Aisha Abubakar, Nigeria’s minister of state for the Federal Ministry of Industry, Trade, and Investment, said the government would review the potential impediments to greater fortification, especially the cost of nutrients, and increase enforcement and incentive mechanisms for fortification. 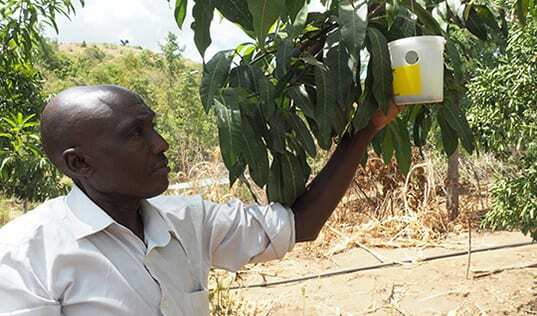 For their part, companies committed to strengthening internal systems to achieve 100 percent compliance with the food fortification standards on flour, oil, salt, and sugar by 2020. Progress will be verified by independent, third party monitoring on an annual basis. By committing to high-quality fortification, the industry is taking critical steps to address hidden hunger and improve health and prosperity in Nigeria.